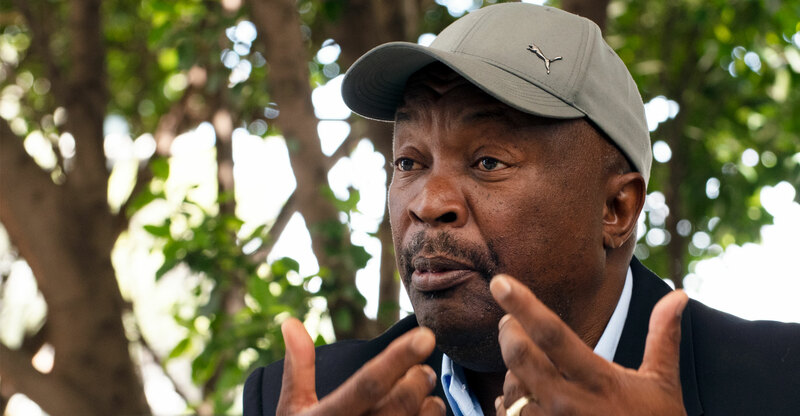 TV2GO a new free-to-air Internet streaming platform which offers viewers over 100 linear channels and on-demand content has been launched in South Africa by famous South African soccer legend Jomo Sono who is the president of Infinivy SA. Infinivy SA owns 26% of TV2GO, with Israeli firm Cast-TV, which offers the technology behind the system, owning the remaining 74%. The company is run by Cast-TV shareholder Yaron Chen. Cast-TV intends to roll out in another three African countries, Nigeria, Kenya and Ethiopia. However, it has already introduced streaming services in Russia, Israel, Romania and the Czech Republic. 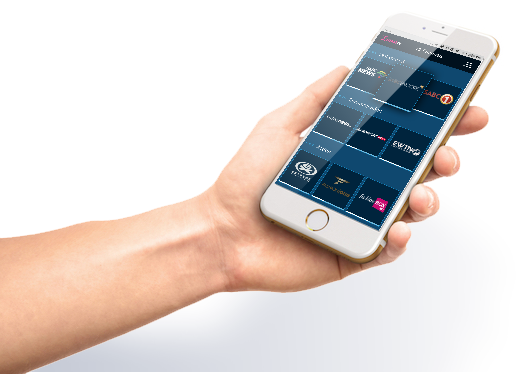 TV2GO is accessible via mobile phones, tablets and Internet-connected TVs and works on both mobile and fixed-line connections. Vodacom has collaborated with TV2GO and is looking for prospects to bring the content to its customers in a more consistent way. According to Chen, TV2GO plans to add more content with time and will update its existing channels every two months. Furthermore, the platform has plans to bring education channels to the platform, adapted for the local education system. 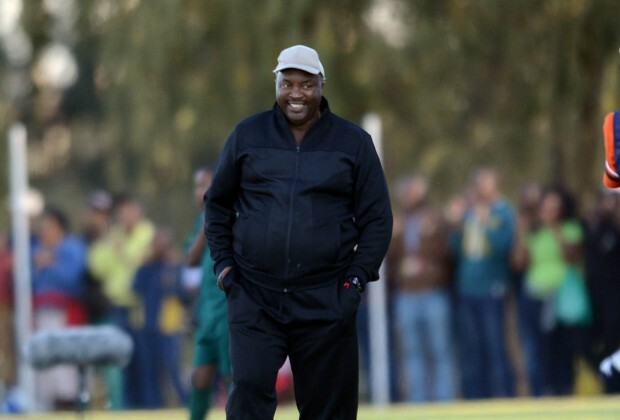 Jomo Sono, known to have provided great entertainment during his playing days, will continue to entertain people, this time through his free streaming service, TV2GO. Did you see it? According to www.702.co.za, the service is said to have more than 100 channels, and will get its revenue from advertising. It’s also been reported that Infinivy SA, a company the "Black Prince" is the owner and president of, owns 26% of the channel, while an Israeli company called Cast-TV owns the rest of the services stakes. TV2GO are also reportedly targeting 500 000 viewers within a year, with users needing only an internet connection to access the service. The wait is finally over – South Africans can now access and enjoy FREE TV like never before. With over 100 channels of quality diverse content, TV2GO offers an extraordinary user experience to watch their favorite programs anywhere, anytime and on any device. And the best part is that it’s totally FREE 24/7/365, without any hidden fees for all network customers and on 3G, 4G and wifi. TV2GO content lineup features movies, documentary, fashion, martial arts, gaming and kids channels, which can be watched on the SPI network of channels. It also offers live streaming news channels from Euronews and Africa News as well as numerous independent thematic channels and live streaming of local radio stations. 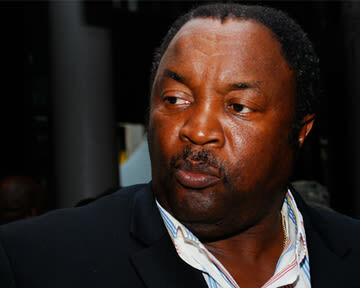 Led by Mr. Jomo Sono South Africa’s former football legend and current president of Infinivy SA, the technology company behind the platform and user interface, TV2GO presents a game changer that has the promise to break the mold of the current TV market in South Africa by delivering a FREE TV product. “Our goal is to bring FREE TV to the people”, said Sono. 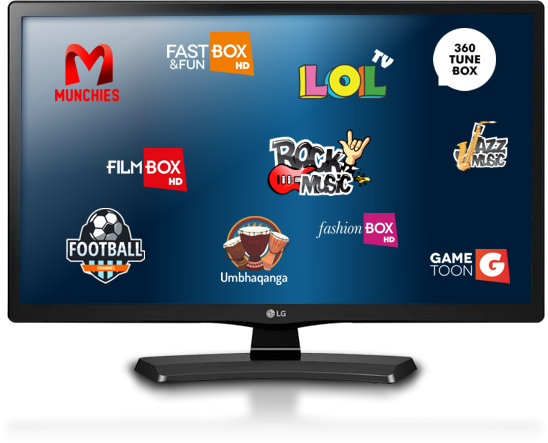 Get ready to be amazed with TV2GO Free TV www.tv2go.co.za. There has been plenty of discussions about the future of TV since the start of the year. As video streaming continues to stand on more solid ground, traditional TV and satellite providers are losing ground fast. Now a new threat has emerged to increase that pressure even further. South African company, infinivy SA has just launched TV2GO, a free-to-air TV platform. The platform is completely web based, uses no decoder and has no app presently. The platform is accessible via mobile phone browsers, tablets, and even internet-enabled TV devices. Currently, the completely web-based TV platform has over 100 linear and on-demand channels for viewing. Its channels range from general entertainment, sports and religion. The platform currently has content for the South African market only. Nonetheless, Infinity SA plans to increase its offerings and expand the service to other African countries like Nigeria, Kenya and Ethiopia. These three countries represent not just some of Africa’s largest economies, but they also possess the continent’s highest populations. Interestingly, unlike other internet TV platforms, TV2GO doesn’t use a subscription model for revenue generation. Instead, it plans to make money from advertising. It explains that for every three hours of viewing, users may see up to eight adverts. This seems like a workable plan, considering income levels across African countries. 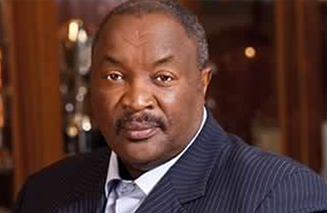 Jomo Sono’s Infinivy SA owns 26% of TV2GO with Israeli company Cast-TV owning 75%.Included on the platform's channels bouquet is the Jomo Cosmos soccer channel, owned by Sono. TV2Go promises that only 8 ads will be aired during a 3-hour viewing on the platform. Yet another video streaming service, TV2GO, launches in South Africa; free online streamer will try to compete with Netflix SA, Showmax and Amazon Prime Video. Yet another video streaming service, TV2GO, plans to launch in South Africa and will try to succeed where several already failed as it will compete with other already-available subscription video-on-demand (SVOD) services like Naspers' Showmax run by MultiChoice, Netflix South Africa, Amazon Prime Video, and some smaller services. 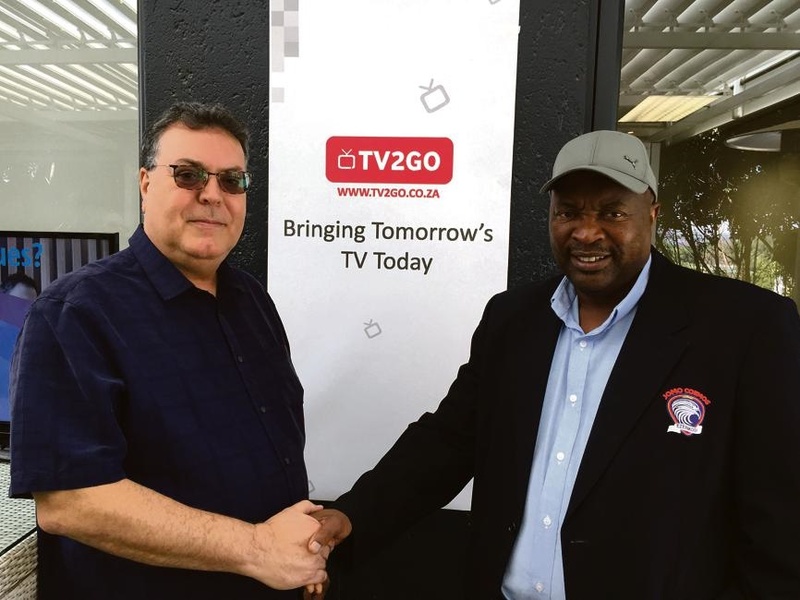 The former South African soccer player Jomo Sono is behind TV2GO that is currently busy with a "trial broadcast", with his Infinivy SA owning a 26% stake in TV2GO and the Israeli company Cast-TV owning the other 74%, headed up by Yaron Chen. Infinivy SA and Cast-TV has the ambitious target of wanting to sign up 500 000 TV2GO viewers within a year in a market where VIDI, the Altech Node and PCCW Global's disastrous ONTAPtv.com along with several others have already spectacularly failed. TV2GO is streaming through the web without any app and is offering viewers around 100 linear TV channels and VOD content for free. Users are subjected to advertising as the service's only formof revenue. TV2GO plans to also launch in the African countries of Nigeria, Kenya and Ethiopia within months. The content streaming quality will depend on the broadband speed of users, and will range from low to as high as 1080p, depending on what video quality a channel is available in. No specific channels or channel list for TV2GO has been announced, but Infinivy SA says TV2GO will "features movies, documentary, fashion, martial arts, gaming and kids channels" and will include streaming of TV news channels like euronews and africanews. On the TV2GO site at www.tv2go.co.za, the service lists a channels carousel under various categories. It ranges from Entertainment (FilmBox Extra, FashionBox, DocuBox, Fast&FunBox, FilmArthouseBox, GameToonBox, Lit Lifestyle, Veggies R Us, Best Life Luxury Channel, Fashion, Foodies, VICE, Munchies, Movember, That's the Tea, Wow! ), to Education (African Truth, SA Chronicles, Exploring Africa, Safe Haven, A Man's World, World Changers, A Doccie a Day, Conspiracy, Crime), and Fun (Motor Channel, Drag Racing, Fashion Hacks, LOL TV, LFF, Gaming, Christians Laugh, Halloween). The channels carousel includes Indian channels (Venus, Songs Bollywood, Bollywood Bai), Kids (Kids Play, Happy babies, WYZE MINDZ, Family Channel, Creative Mindz), Music (Iscathamiya, Umbhaqanga), News (euronews, africanews, Current Affairs, Good News, World News, Global Business, Authentic News), and Religion (Evidence of Christ, Christianity Today, Kingdom of Heaven, Youth in Christ, Bible Stories for Kids, Faith on Film, Islam, Judaism). Under Sport it lists Basketball Channel, RedBull, Off-Road, WorldTVSport, Boxing, Cricket, Golf Channel, FightBox, Rugby Channel, Jomo Cosmos Ezenkosi, Football Channel, Athletics, and under the Science header it has Gadgets and Science. Spirituality channels on TV2GO include Serenity, Divinity and Motiv8!. A new video streaming service has been launched in South Africa. Named TV2GO, the service is free and does not require users to subscribe. Unlike its competition iSouth Africa, namely Netflix and Showmax, all a viewer needs to access TV2Go's 100 plus channels is an Internet connection, there is no need to sign-up, register or pay a subscription fee. “Our goal is to bring free TV to the people," said Jomo Sono, President of Infinivy South Africa (the company behind TV2GO)". Firstly, the video streaming service features a variety of content like movies, documentaries, fashion shows, martial arts, gaming and kids channels. Added to that there is also live streaming news channels such as Euronews and Africanews as well as numerous independent thematic channels and live streaming of local radio stations. The service free to view and all users have to do currently is visit the TV2GO website and select the channels they want to watch. You still have to pay for your data (Internet connection) costs the same way you would when streaming videos on YouTube or Vimeo. How TV2GO makes money is through advertising, viewers will be subjected to a mximum of 8 advertisements during every thre hour viewing period. Furthermore, the company is involved in exploratory talks with South African telecommunications company, Vodacom, to explore ways it can offer the content through the Vodacom app. This will also include specific vouchers for TV2GO viewing on the Vodacom network, similar to what MTN is doing with Jay-Z's music streaming service, TIDAL, across Afrika. As mentioned, the business model is nothing new but the age old ad-supported business model of many Internet media companies. Infinivy cites the IAB/PWC Report of 2017 which states that digital ad spending in South Africa grew by 36% over the last 12 months to R3,4 Billion with mobile driving this growth, posting a 60% year-on-year increase in online ad spending, and a 22% increase in search spending, as one of the main reasons they are launching the service. "Infinivy believes in embracing the Free Advertising Generated Income business model for its maximum monetization and scalability capacity, while offering Freemium TV, an unnumbered quality of free diverse linear and non-linear channels to the users. Combined with its aggressive Revenue Sharing plan with its telcos partners, this model guarantees a Win-Win formula all parties." "That's a difficult question to answer. Ultimately an ad-supported media business survives mainly on its ability to generate content that attracts enough people to receive enough advertising revenue to cover costs and make profit to grow".